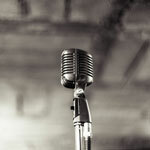 Available: Bass Player, Drummer, Guitarist - Lead, Harmonica Player, Keyboardist, Singer in Olympia, Washington, United States. Posted 1 month ago by BeatleMania2099, 76 views. Wanted: Vocalist - Backing, Vocalist - Choral in Olympia, Washington, United States. Posted 7 months ago by WakingBear, 239 views. Wanted: Guitarist - Lead in Olympia, Washington, United States. Posted 7 months ago by WakingBear, 194 views. Wanted: Drummer, Percussionist in Olympia, Washington, United States. Posted 7 months ago by WakingBear, 224 views. Wanted: Producer in Olympia, Washington, United States. Posted 7 months ago by Bree-Anna, 217 views. Free Musician wanted and available ads in Olympia and surrounding areas. Find a Musician today or a band to play in. An overview of all Olympia musician classifieds on Join-A-Band.com.